How to Redo a Room for $250- Part 1 | House Unseen. Life Unscripted. When you watch those HGTV one-day room redo shows, they're always repainting some totally normal room. You know, just putting one color on top of another. A one day project! And for only the cost of a gallon of paint! Those liars! 'Cause nothing in this house is simple. The freaks humans who built it just slapped stuff together ya know. Cut corners, rarely bothered to measure or level anything, and had no concept of "attention to detail". All sorts of things that make me want to throw rotten food at them when we're in the throes of fixin'. In our bedroom, for example, before I could prime, I had to remove the wallpaper. Step one. Then I had connect all the corners of the room and the panels of paneling. Because they had just left the paneling sections unconnected. Yeah, a big gaping space in every direction, collecting dust and looking depressing. So that was step two. And then I realized that none of the nail holes in the trim or gaps in the window frames had been filled. So that was step three. And then it was time to clean the walls and doors (shudder). We'll call that step four. You see where this is going? It was a process, friends. Fixing up a real fixer-upper is always a PROCESS. But where there is a stubborn Polish will, there is a way. Especially since all those extra steps don't really cost much extra money. Just time. And I ain't got the first but got plenty of the second. 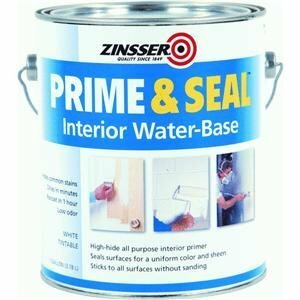 Which is all just a very long introduction to my promised post: What I bought and did to redo our room with $0 (and a $250 Amazon gift card). To remove the wallpaper, I first scored the paper using one of those handy dandy wallpaper scorer tool doo-hickies, which we already owned. Then I sprayed 2' x 4' section with a hot water and vinegar mixture and allowed it to soak for 15 minutes. Most large pieces peeled right off and then I had to use a scrapin' tool (usually used for smoothing plaster, but I like to make do) on the really stubborn pieces. I also called the stubborn pieces really mean names. I think it helped. Cost for this step: $0 as we had all the supplies already. To connect the panels, I started by nailing the pieces as flush to the wall as possible. Then I filled the gaps and connected the sections of paneling together using paintable white caulk, which we also already had in the basement. 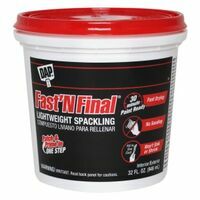 For this I used DAP Fast 'n' Final Lightweight Spackling, which, you guessed it, we already had (can I get a whutwhut?). In typical dweej fashion, I applied it with my fingers because it was just easier than doing it whatever normal way most people would do it. Then I wiped off any excess with a damp shammy. This stuff is awesome, by the way. Use it for sure. And no, they're not paying me. I wish! Even if the primer we had didn't specifically say NOT to clean the walls with TSP before painting them, I wouldn't have wanted to use it anyway. Not just because I'm pregnant, but because that stuff scares me and makes my hands all shriveled and gross like. I know. Gloves. But somehow it always sneaks in, that sneaky stuff. So I cleaned the walls with...you guessed it....vinegar and hot water. So even the smallest kids could help without me feeling all guilty about poisoning them. I have no special tips. Please, just NEVER glue mirrors to the wall, okay? The morning I started painting the ceiling, I was DETERMINED to get it all done it one day. Because I could not be painting a ceiling for two or three days straight. The mere thought of it sent shivers down my spine! And unlike a dry-wall ceiling, which can be painted with a roller with an extender pole, the tiled ceiling had to be painted one tile at a time whilst I climbed all over plastic-covered furniture. Good times. See, the seams between every tile had to first be painted with a brush, and then each tile had to be rolled individually because they're slightly convex and just painting them in the regular manner would have resulted in only the middle of each tile getting any paint on it. But it really brightened up the room and was totally worth it. In retrospect. 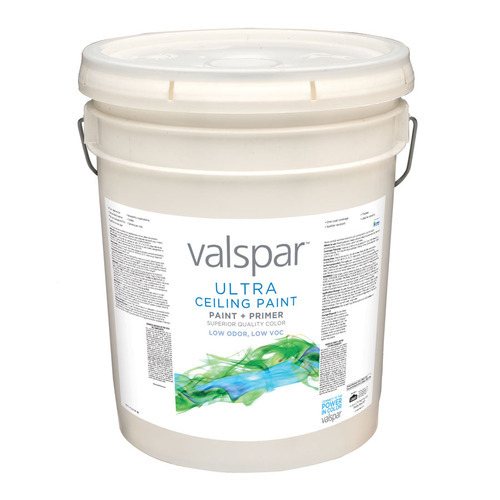 I used Valspar Ultra Premium flat ceiling paint, a 5 gallon of which was waiting for me down in the basement. Y'all know I likes to bend the rules, so you shouldn't be too shocked to find out that I painted the trim before I painted the walls. 'Cause here's the deal- I had all the doors leaning against the walls to be painted. I couldn't very well paint the walls one color and then lean the doors against the brand new paint and paint the doors another color. It would have ended in tragedy and tears for sure. So we decided that I'd be all careful-like and just do all the trim and doors first then get them put back in their proper places so I could do the walls. And it totally worked! Boom. 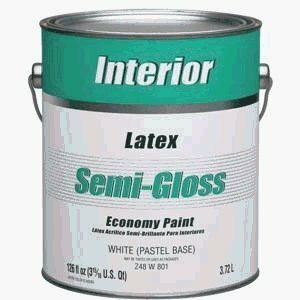 For this step, I ordered a gallon of economy semi-gloss in white. Just look at them doors and trim! Not too shabby, I know. Oh, and the little pull-circles (handles? I don't know what to call them) used to be brass, but I fixed that right quick with some fancy sharpie action. 'Cause I'm resourceful like that. This is when I got reeeeeeeeaaaaaaaally excited, people. My instant sunshine! And oh my holy goodness, this post has already gone on for SO long and I haven't even gotten to all the linens and accessories. So I'll save those for their very own post, whaddya think of that? See you soon! For all the BEFORE pics, click here. And for all the AFTER pics, click here. Oh, and be sure to check out Snapshots from a Sunday over at Clan Donaldson. I had the 3-4 p.m time slot and I promise, the photos will totally make it worth your trip. AWESOME! That is such a pretty color of yellow and I LOVE it! It looks so great :). I love the yellow - so happy! I really want to paint our bedroom. 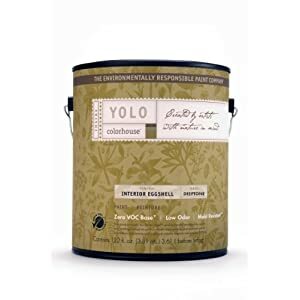 Ok, so I want to paint our whole house. We've been saying we are going to do it since we moved in, and it's only been 7 years :/. We'll get there! I am totally impressed. The steps would have just over-whelmed me. Your results are beautiful! I am so impressed. Seriously! I've been living in my ugly bedroom for 6 years and haven't done a darn thing. And I only have 2 walls of wallpaper. I envy your spirit! In the interest of full disclosure, we only had 2 walls of paper, too. I might not have made it past step 1 if there was more of it! They glued mirrors to the walls??????? The mind boggles. There truly are no words. Every room in this house has revealed some surprising ridiculousness. Awesome. I'm beyond impressed with you right now. You know what's good? That y'all can't see what the rest of my house looked like while all this was going on. It was a hovel, I tell ya what! I can't wait to see what else you come up with! I have had to be a bit resourceful in the decorating and organizing, but I usually just get ideas from Pottery Barn catalogs. No, I don't buy anything! Can't that's for sure, but if you look closely at all the photos, they have lovely little details in the background. I just copy many of those - I am not good at that sort of thing on my own! Beautiful room! Can't wait to hear about the linens! You're inspiring me to paint my kitchen with that pretty yellow instead of the bright mustard yellow I chose and instantly regretted but was too lazy to do anything about it...until now. Maybe. painting project is finished is one I know well! I love the plates and hate removing wallpaper! Great post! O_o They... GLUED the mirrors to the wall. Glued. Okay, I guessed the previous owners were lazy and "eccentric," but... what in the name of all that is holy and sane possessed them to do that?? I now firmly believe that they were certifiably looney. I can almost hear the sighs of relief uttered by your house while you were fixing it up. Your poor, poor house!